(c) A Geeky Ginger2016. Powered by Blogger. Life as a geeky, homeschooling, breastfeeding, babywearing, attachment parenting, aspie, ginger. 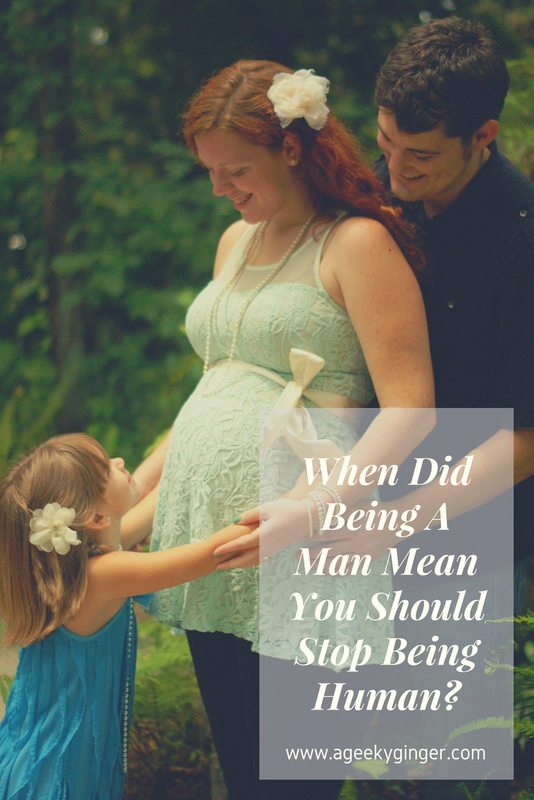 When Did Being A Man Mean You Should Stop Being Human? Recently, a post came up in a local mom group on Facebook, specifically talking about husbands being babysitters/nannys to other children. The question posed was: Would you let another husband watch your children? All different sorts of answers were given, of course. One mom just straight up said "No." And it really made me question..... Why? Is there something strange about this? Is there something worrying, or taboo, or obscure to think that a man could take care of children that aren't his? Honestly, I see women complaining that their husbands don't take care of their own children, so how could you complain about a man being willing to watch other's kids? Is the problem really all based on the scary question? The one we don't want to talk about but we, as women, constantly fear? The one that makes you think "What's wrong with him? Why would he want to be around children like that?" That question of - Is this man a predator? To be honest, it made me really sad for a moment. To think know that we live in a world where this is a thought that is actually in our brains. That we are so warped and twisted, we have to worry about daddy's hurting our babies. DAD'S! Fathers! Men whom we have chosen to make these lives with! Now, I am not blind. I am not unaware of the dangers, by any means. That issue hits very close to home for me, and I completely understand the underlying worry, as it has popped into my head more than once in the past few years. I don't think we should be naive and act like it isn't a concern or that it isn't a very, very real possibility. However, the idea that I am horribly irked by, though, is this idea that men just aren't as capable. That men are not equipped to care for children that aren't his. Who made this a thing? My husband is compassionate, loving, kind, silly, cuddly, dorky, and always willing to help! 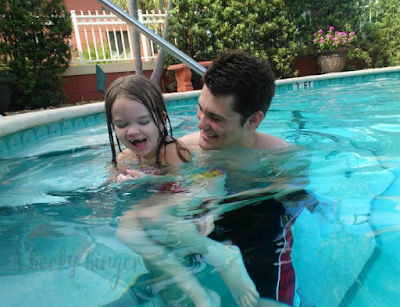 He understands the struggle of being a stay-at-home parent and feels that, if he can lend a hand with anyone's kids, he should. This isn't a surprising thing to me, of course, because he came into my life when my oldest daughter was 4 years old and immediately connected with her. Their first meeting, he spent an hour playing with her and talking and goofing off. Because that is who he is. 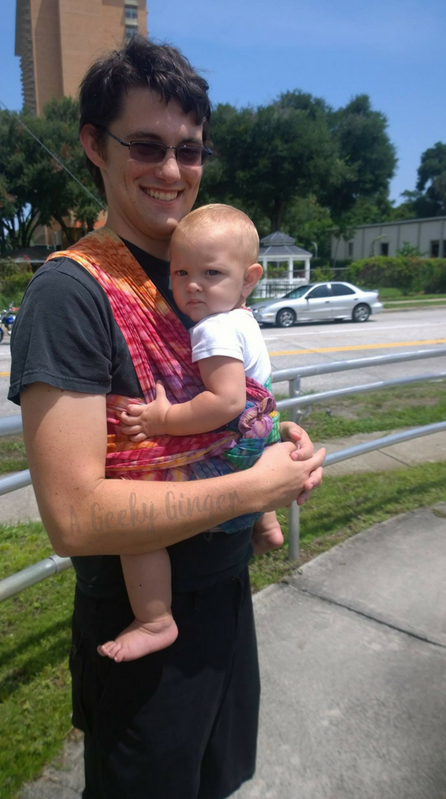 He babywears. He cuddled up and waited on me hand-and-foot when I was stuck in bed with a breastfeeding newborn (rather than try to force a bottle situation so he could "participate"). He walked me to and from the bathroom and helped me shower postpartum. He plays dolls with our girls. He lets them paint his toenails while he pretends to sleep. He not only allows, but encourages, our kids (and any kids) to feel comfortable coming to him, rather than always bugging me for everything. I've had a few men say, about my husband, how "weird" it is that he is willing to watch my best friend's toddler for her, so we can shop. Or that it's "weird" to have him keep an eye on my friend's niece while we are busy with something. So, again, Who made this a thing?? This isn't a rarity (or it shouldn't be). 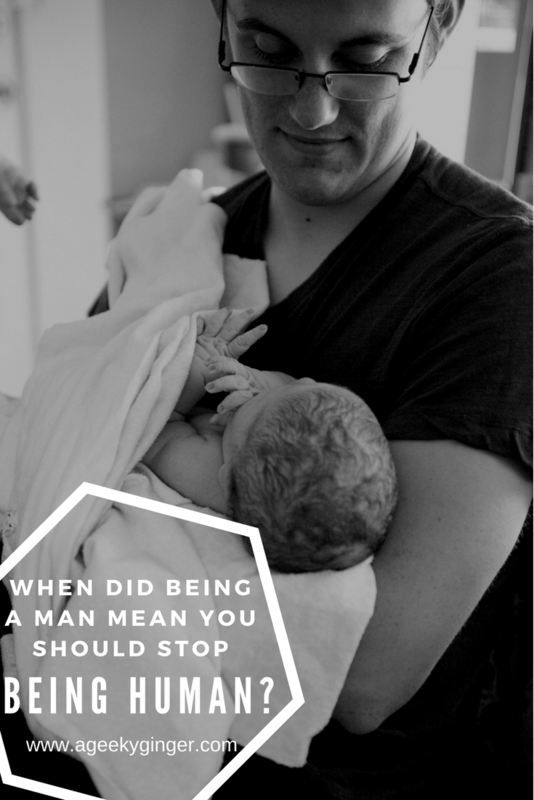 This isn't my husband (or yours) being "more maternal" than you, or being a "rare form" of man. This is him being a man. What men should be. Because they abso-friggin-lutely should be compassionate, loving, kind, silly, cuddly, dorky, and willing to help. Always. Just as we are. No, they're not going to operate the same way we do since, genetically, they're made differently. Their brains do function differently. But that doesn't mean they shouldn't be human. And, I'm sorry, but being all of those things listed above is just human. Listen.... I'm not saying everyone is going to be a "kid" person. I'm not saying everyone needs to just LOOOOOOOVE being around all kids (I certainly do not). But when my husband says that he can watch our toddlers so we can go have margaritas and a break from momlife.... How is that wrong or weird? Do you think men should be considered for these jobs deemed as too "maternal" for a male? My husband was a squad leader in the Marine Corps...he always offers to help my other mom friends out by babysitting their kids..it seems like most of them just stare at me and then make excuses on why it won't work..he seems a little rough but honestly what Marine doesn't 😂? Anyways he is an amazing caretaker and I would trust him even if he wasn't mine to keep forever! I would trust some of my friends husband's also but they are not willing to babysit someone else's children..so finding a male to babysit is actually like finding a precious gem! If your husband is willing to babysit other people's children while spending time with his own you have a keeper and one heck of a man! Need a dose of geeky-ness? Subscribe here! © A Geeky Ginger. Design by FCD.